What is the Value to Your Company of a Leaner, More Productive Inspection Process? 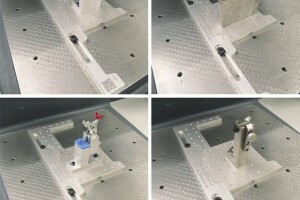 Quality Magazine included a case study written by Dwighd Delgado, founder and owner of Strategic Operations Solutions, LLC, about how Inspection Arsenal, a unique fixture solution that is both effective and affordable, can improve customer satisfaction and profitability by eliminating the 8 wastes most often encountered in the most critical steps in manufacturing. Methods Machine Tool Sales (MMTS) of Sudbury, Massachusetts, is the New England distributor and sole training center for Carl Zeiss inspection equipment. Customers can train in MMTS’s state-of-the art lab or send examples of problem parts to the lab for help with their inspection solutions. 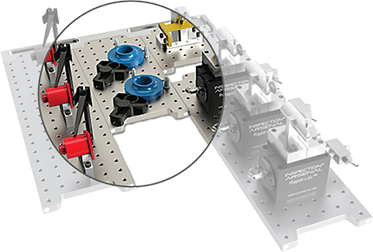 To introduce trainees to the most modern and lean approach to fixturing, the MMTS training team turned to quick-swap fixture plates and workholding. These allow for smoother transitions during contract inspections and when automating engineered turnkey solutions. Similar to many successful manufacturers, Kennebec Technologies began in a garage. After more than 40 years and with more than 65 employees working there, Kennebec has become a world-class parts manufacturer that specializes in complex, high-precision components for aerospace, defense, alternative energy, medical, semiconductor and telecom applications. Triangle Manufacturing Co. was established in 1955 by William F. Strohmeyer and two other enterprising engineers in a suburban New Jersey garage. It’s grown steadily over three generations to become a leading provider of highly complex, tight tolerance surgical implants, medical instruments and powered hand tools. Today, Triangle employs nearly 200 employees in four dedicated state-of-the-art manufacturing facilities in Upper Saddle River, NJ. We do both first part and in process inspections. 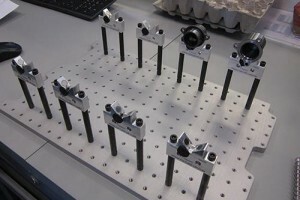 Our table has to be flexible enough to adapt to a variety of parts and to adjust to part changes in quick notice. 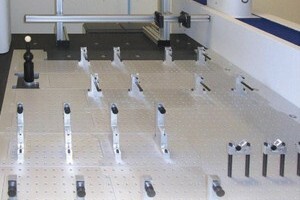 Inspection Arsenal’s interlocking system enables us to accomplish this goal. 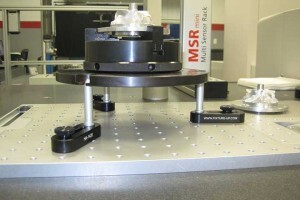 Because of its repeatability we have almost eliminated manual alignments after the initial setup. Its versatility has given us much greater latitude in our setups. Thanks for an excellent product.